The European Union still hopes to avoid Britain crashing out of the European Union without a divorce agreement, the EU's chief Brexit negotiator Michel Barnier said on Tuesday. "Over the last days a no-deal scenario has become more likely, but we can still hope to avoid it," Barnier said, adding the EU was ready to accept Britain staying the EU's customs union or a relationship akin to the one the EU has with Norway. After Britain's parliament rejected all tabled alternatives to Prime Minister Theresa May's divorce deal in a series of votes last night, Barnier said Britain now had three choices before the April 12 leaving date. He said Britain could still accept deal agreed by May, reiterating it was "the only way" for Britain to leave the bloc in an orderly way. Other options were the most damaging no-deal Brexit, or a long delay of the UK's leaving date, Barnier said, adding the fractious UK parliament would hold the responsibility for these. 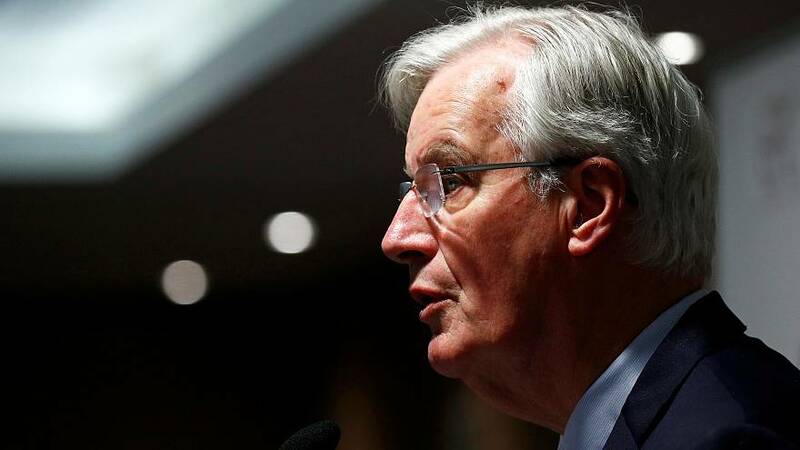 Barnier said a long delay to Brexit would entail organising European Parliament elections in the United Kingdom in May and London naming its representatives for the new European Commission. The Frenchman said there was no added value to Brexit and stressed the 27 EU states staying on together were now ready for an abrupt split. Watch Barnier's address in the player above. READ MORE: What happened last night in the House of Commons?